Rick Lancellotti began his 17 year professional baseball career in 1977. He played in 15 leagues, 7 countries and over 100 cities nation wide. Rick has instructed and given clinics to students of all ages throughout the US, Japan, and Italy. Learn from Rick at the Buffalo School of Baseball. The Buffalo School of Baseball (which is now located in the Eastern Hills Mall in Williamsville, NY) was established in 1993 and was the first Baseball/Softball indoor, year round, facility of its kind in Western New York. After playing seventeen years of professional baseball, my passion for the became teaching baseball and softball players of all ages and levels. Together with some of the best instructors, we’ve had thousands of kids come through the Buffalo School of Baseball over the years. I’ve been very fortunate to have played professionally and now instructing the game I love. Our goal is to achieve improvement for every ball player after each and every lesson. The confidence and experience that the BSB offers for the past 21 years speaks for itself. The techniques I use for training and instruction come from all of my collective years of playing, ranging from Little League to the Major Leagues. My goal is to get a player to reach the next level with patience, confidence and practice. I’ve seen many players excel in several lessons. Over the years I have seen and heard of many variations on hitting---some good, some a little unusual. 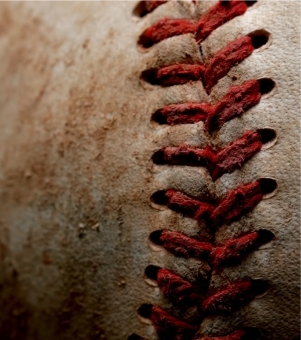 Come into the Buffalo School of Baseball and see what we have to offer! Thank you and keep swinging!! The sports performance park facility is open to the public for individual, group or team usage. Facility, cages and mounds may be rented by teams or individuals when not in use by the school’s teaching staff. So coaches bring your entire team! Team discounts are available! You do not have to be a member to use the facility. • 12 batting cages 11ft. high x 14ft. wide x 70 ft. long with astro turf flooring and covered with top quality reinforced weatherproof netting for baseball and softball usage. • 6 Pitching mounds 15ft. wide x 75ft. long with home plates set up for mound distances of 46, 54 and 60 feet. The correct phrase should be: "Drive the ball," "Swing Hard" etc. which is your shoulder in order to get full range of motion to create more power. Private, group and team lessons for boys & girls are available at the BSB. This will provide instruction for players ages 8 & up. Every effort will be made to improve the skill level, self confidence & knowledge of the game through instructional techniques. Video taping is also available. 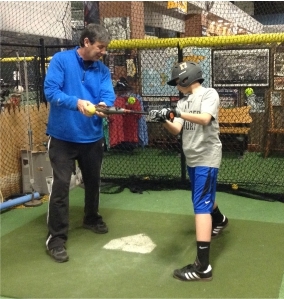 Coaches clinics and softball/baseball clinics are available year round at your facility. See Rick for pricing. All needed equipment is available on site if necessary. *8 Hour notice is required to cancel a scheduled lesson or rental or you will be charged for that scheduled time. All lessons/plans must be completed within one (1) year of first lesson. Coaches Clinics Available - At our facility or yours! Contact Rick for details. Team / Group Instruction Available. Contact Rick for details. Rick Lancellotti began his 17 year professional baseball career in 1977. He played in 15 leagues, 7 countries (U.S., Canada, Japan, Italy, Venezuela, Mexico and Columbia) and over 100 cities nationawide, ranging from Maine to Hawaii. Rick played for the Buffalo Bisons, winning the AA Eastern League MVP in 1979. He is a member of the Major League Baseball Players Association and the Major League Alumni Association. Rick has instructed and given clinics to students of all ages throughout the U.S., Japan and Italy. • Inducted into the Buffalo Baseball Hall of Fame August, 1995. • Active member of the Major League Baseball Players Alumni Association. • Played in the American League & National League with San Diego (1982), San Francisco (1986), and Boston (1990). • 1992 – Finished career as the all-time active minor league home run leader with 276 home runs. • 1992 – “Best Hitter” European Cup in Holland for Parma Angels of Italy. • 1991 – Named Boston’s Minor League Player of the Year by Boston Sportswriters Association. • 1991 – Lead the AAA International League with 21 home runs – Pawtucket – Boston Red Sox. • 1987 – Led Japanese Major Leagues with 39 home runs – Hiroshima Carp. • 1986 – Led AAA Pacific Coast League with 31 home runs – Phoenix – San Francisco Giants. • 1984 – Led all professional baseball with 131 RBI’s. Had 29 home runs – runner-up Pacific Coast Leagues MVP – Las Vegas Starts – San Diego Padres. • 1979 – AA Eastern League MVP Led league with 41 home runs and 107 RBI’s – Buffalo Bisons Pittsburgh Pirates. • All Star honors in A, AA, AAA leagues. Rick is in constant contact with coaches throughout the country to try and promote WNY players to college programs. Rick’s 17 year pro experience enables him to properly evaluate each player and to be able to find a college that fits the players profile and talents both athletically and academically. We can video tape and evaluate players on hitting, throwing, pitching, running, infield, outfield and catching skills and pass our information and videos (upon request) to schools of the player’s choice and the staff’s recommendations. Copyright © Buffalo School of Baseball 2015.